Flowers of Leh , Shanti Stupa, Sham Valley Tour, Pangong Lake and Jeep Safari to World�s highest motorable road - Khardungla. 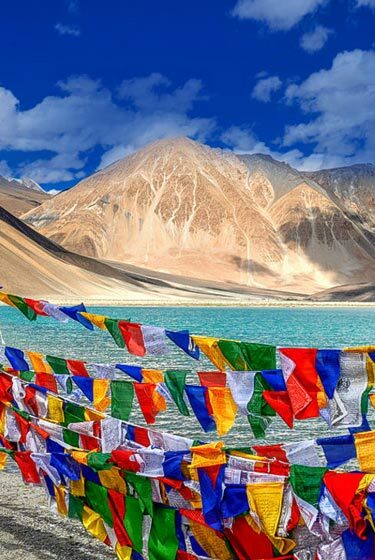 HIGHLIGHTS: Shanti Stupa, Sham Valley Tour, Pangong Lake and Jeep Safari to World’s highest motorable road – Khardungla. 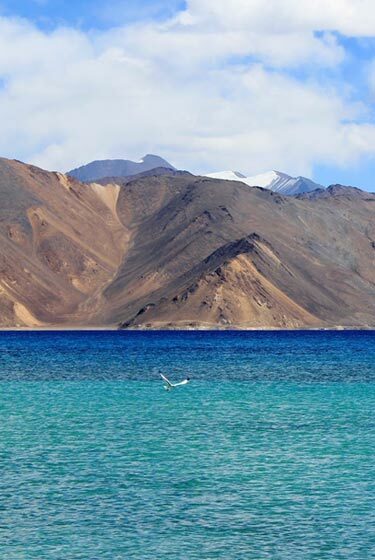 Arrival Leh, AIR representative will meet, greet, assist and transfer you to Hotel in Leh. Rest of the day free to acclimatize to the high altitude of Ladakh. 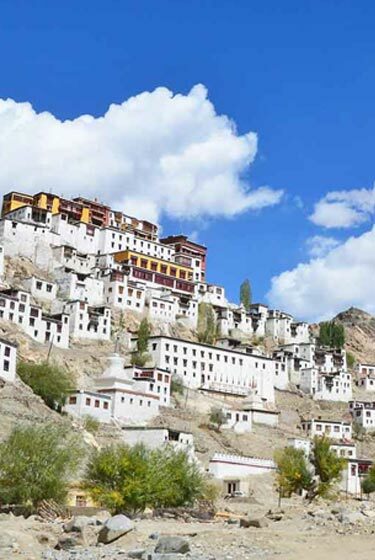 In Evening sightseeing of Shankar, Shanti Stupa, Leh Palace and walk to the local bazaar in Leh. Overnight at Hotel in Leh. SANKAR GOMPA & VILLAGE : A relatively modern monastery, it is closely associated with the Spituk monastery and served as the residence of the late head priest-Kushak Bakula. A number of gold icons are to be found here. SHANTI STUPA (Japanese Peace Pagoda) : Shanti Stupa/Japanese peace pagoda is build by a Japanese religious organization headed by Head monk Nakamura with the help from the organization and local people. It is situated at a hill top in Cahngspa village providing a bird eye view of the Leh town and the surrounding mountain peaks. Architecturally it has the Japanese touch with small clean rooms on the side for meditators and the main Japanese shrine at the entrance. LEH PALACE : The Namgyal Tsemo (victory Peak) was build by King Tashi Namgyal after the reunification of upper and lower Ladakh and victory over Hor and their bodies are placed under an image of Mahakala, the guardian deities to stop further invasion of Hor. The Leh palace known as 'Lechen Palkhar' was built by Singay Namgyal around in the beginning of 17th Century A.D. The nine-storied palace is now deserted, and the ASI (Archeological Survey Of India) has taken up the renovation work. The people sought for help and the Guru blessed the people and became very popular in the area. The locals called him as Nanak Lama. The Demon got enraged and started making plans to kill Guru Nanak. One morning, when the Guru was sitting in meditation, he rolled down a big boulder from the hilltop with the aim of killing the Guru. But on the very touch of Guru’s body, the solid rock melted like wax and Guru’s back got embedded on it like a cushion. The Guru kept on sitting in meditation undisturbed. Thinking that the Guru must have been killed, the demon came down but was taken aback on seeing the Guru in meditation, undisturbed. With a rage of anger he tried to push the rock with his right foot but the rock had already became like wax his foot also got embedded into it. On this , he realized his folly and powerlessness as compared to the spiritual power of the Great Guru. He fell on the feet of Guru and humbly prayed to be pardoned. The Guru advised him to get rid of his wickedness and lead the life of a nobel person, in the service of humanity. This changed the life style of demon and he started serving the people. The Guru there after continued his Holy journey towards Srinagar and Kashmir via Kargil. The boulder having imprint of the Guru’s back is lying in the Gurdwara to his day. After breakfast prepare yourself for the ultimate adventure of your life. 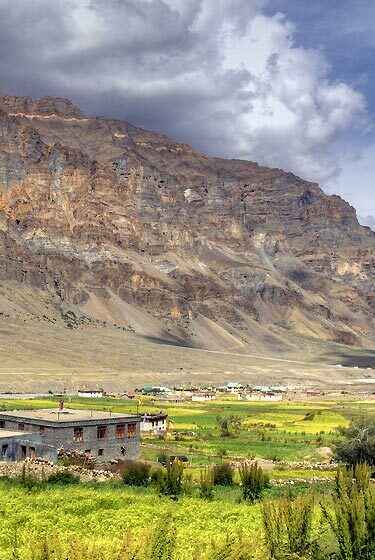 We will drive upto the Kardungla Top to have a magnificent view of the surrounding valleys. After spending some time there come back to Hotel and relax. Dinner and overnight at the hotel in Leh. Transportation is not on disposal basis. It is strictly as per the program, any extra running will be charges extra.